Finding accounting jobs without a degree can be a tremendous challenge, but also a great benefit if you're using it as an opportunity to get some experience in the field before completing your degree and entering the job market. You won't be able to become a professional accountant or Certified Public Accountant (CPA) without at least a four-year degree. To become a CPA, you'll need additional credits (150 total, including the Bachelor's degree) and you'll have to pass the CPA exam. 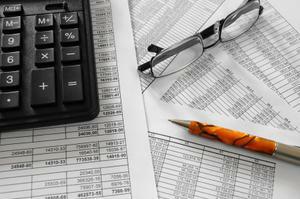 You can be a bookkeeper at a small business with a two-year degree. You will need experience in QuickBooks and Microsoft Office. In addition, employers may ask for a few years of experience in the field. If you don't have the degree but you have the experience and knowledge, the lack of a formal degree may be overlooked at some businesses. Payroll, accounts payable, and accounts receivable clerks do not always have to have accounting degrees. With just a high school diploma, may be able to get a job as an accounting clerk, though an Associate's degree will be preferred in many cases. Some employers may even prefer a four-year degree. If you have substantial experience working with Microsoft Office, especially Excel, your chances of getting the job are much better. You'll be compiling reports, posting payments, processing claims and more, depending on specific job duties. You can work in collections with no accounting degree. You may have to work weekends and evenings if you choose this type of work. A collections specialist contacts customers with outstanding bills and attempts to work out a payment plan with them. You may also be expected to make reminder phone calls to those customers. For this job, accounting experience is sometimes a plus but not necessary. You won't need an accounting degree. You will need to know your way around Microsoft Office, however, so brush up on your Word and Excel skills. You'll often be helping a bookkeeper with tasks like bank reconciliations, billing clients, and generating reports. A two-or-four-year degree is usually preferred in a tax preparer's position, but may not be required. Tax preparation companies like H and R Block sometimes provide training for those interested in seasonal or full time work. Experience in the financial industry and some tax knowledge is also preferred, of course. You'll also need to know how to use Word, Access and Excel proficiently. Before you've completed a degree (or even high school), you can get some work experience as a retail sales associate. While this won't be directly related to a true accounting job, you can use it as a way to get work experience, demonstrate that you're a dedicated employee, and hopefully get some letters of recommendation for when you do decide to get into a program or apply for an internship. You can find accounting jobs without a degree by contacting temp agencies, keeping an eye out for listings in the newspaper or on Craigslist or even speaking with someone directly from the firm you hope to work for. Job search engine sites like Monster.com and CareerBuilder.com may also be of use as long as you're choosy about the ones you submit your information to. Though you won't be able to step into the role of an accountant with no degree, the experience you get before you complete your degree will help you stand out among other candidates when you are competing for a staff accountant position. If you have no desire to get a bachelor's degree in accounting but you like math, choosing a career where you get to do minor accounting work without putting in the time, effort, and money it takes to get your degree may give you great satisfaction.